Sara created this fun yarn tassel garland to coordinate with her fun caramel apple party. 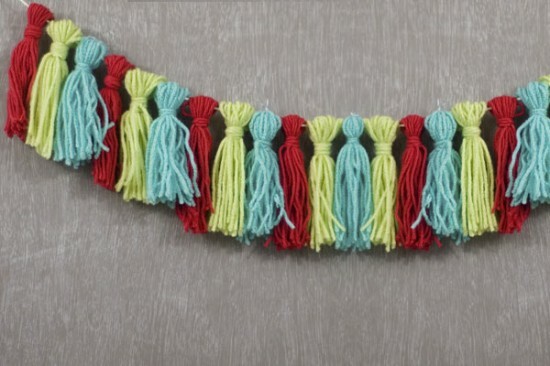 With all of the fun yarn colors available, this garland would be easy to coordinate with just about any color scheme and would be pretty inexpensive to make. Both qualities of a great DIY party decoration! You can check out how to make a DIY Tassel Garland over at One Charming Party and you can see more of Sara's fun party ideas over at Confetti Sunshine.